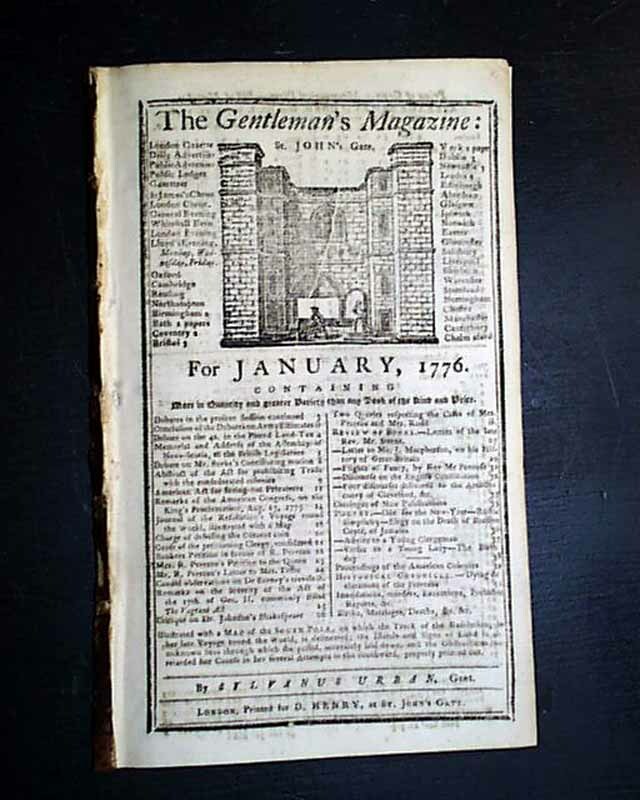 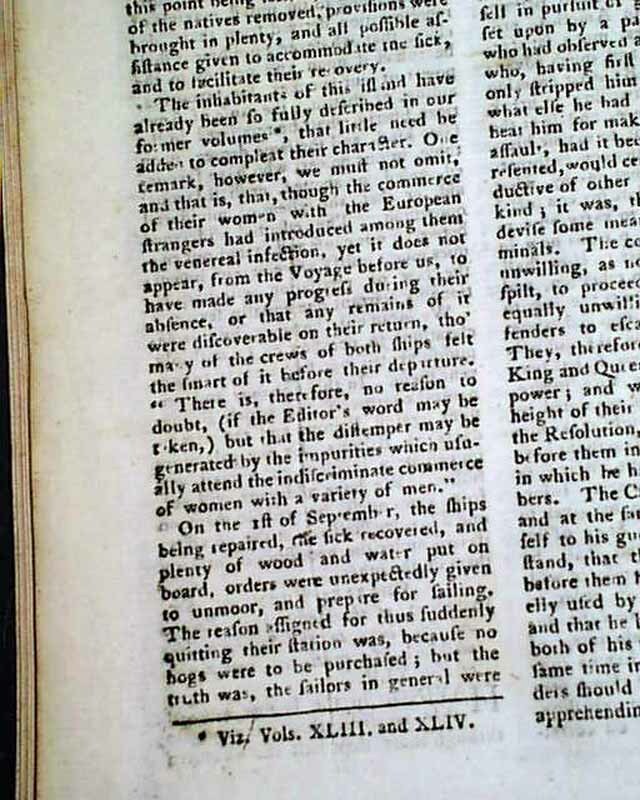 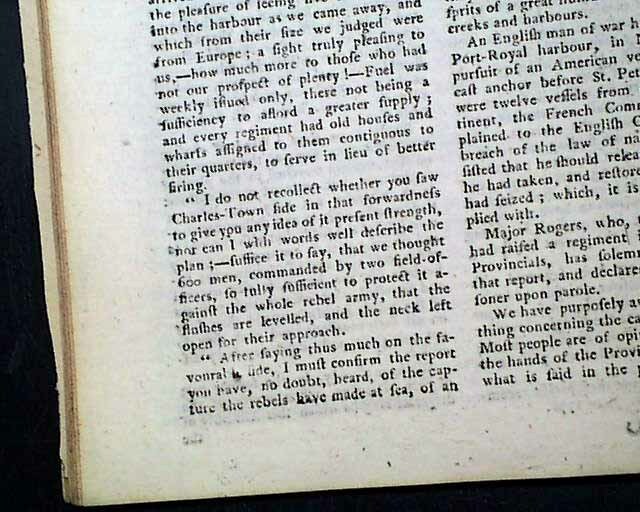 THE GENTLEMAN'S MAGAZINE, London, January, 1776 This is a fine issue from this significant year of the Revolutionary War, with much war-related content. 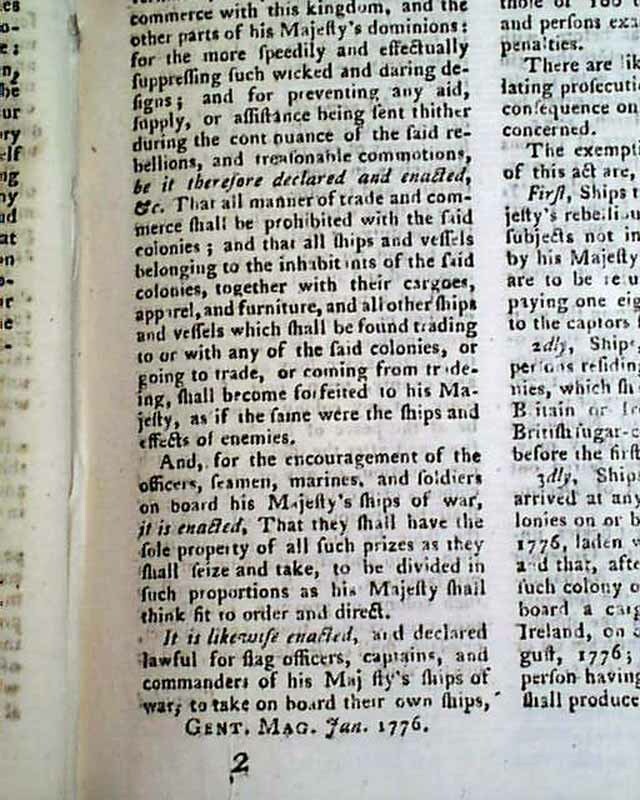 Included is two pages on an: "Act for Prohibiting all Trade with America" which is followed by an: "Act of Massachusetts Bay for Fitting out Armed Vessels" which takes 3 pgs. 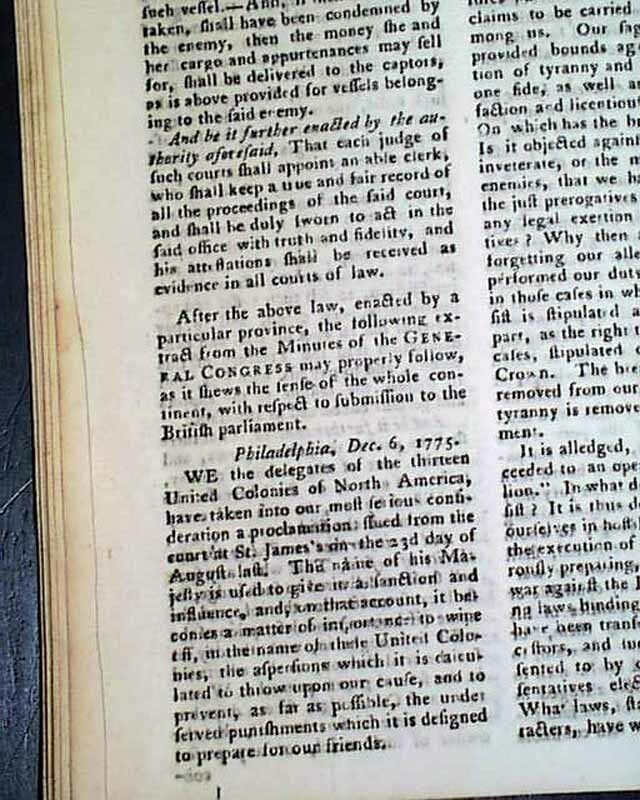 Also reported here is a: "Declaration of the Continental Congress on a late Proclamation" from England, datelined Philadelphia, Dec. 6, 1775, being their heated response to the King declaring the colonies to be in a state of open rebellion, with some great text including: "We the delegates of the 13 United Colonies...have taken into our most serious consideration a proclamation issued from the court of St. James's on the 23d day of August...We are accused of 'forgetting the allegiance which we owe to the power that has protected & sustained us'...What allegiance is it that we forget? 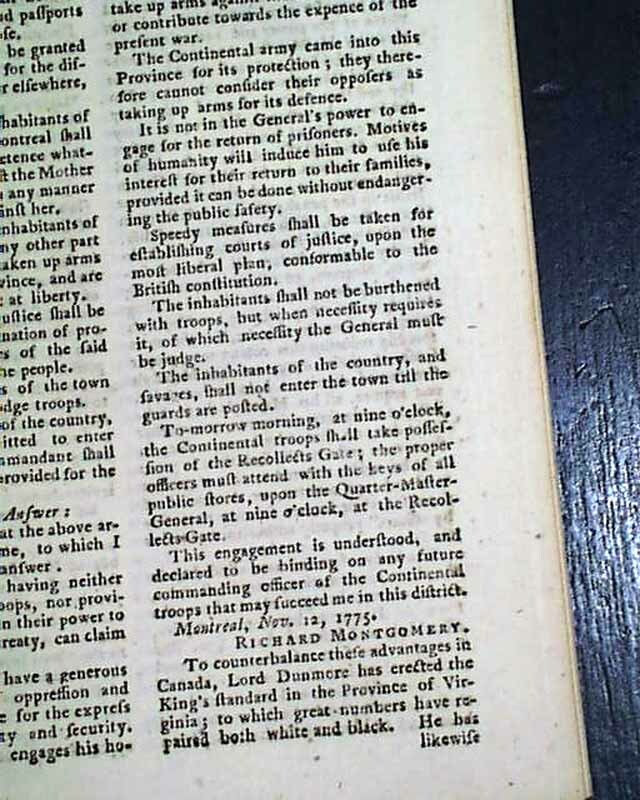 Allegiance to parliament! 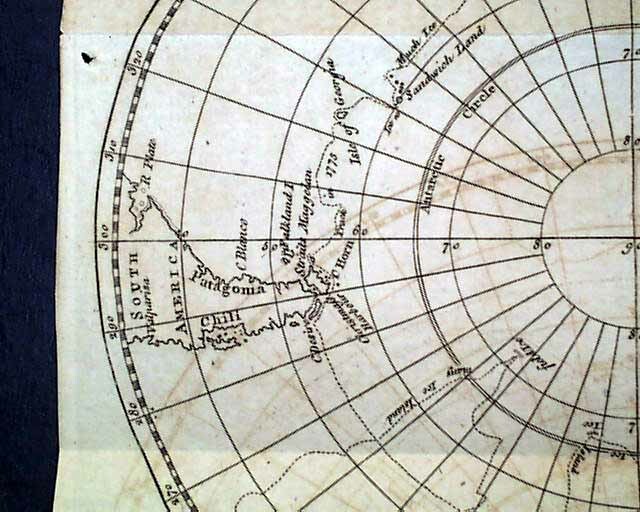 We never owed--we never owned it. 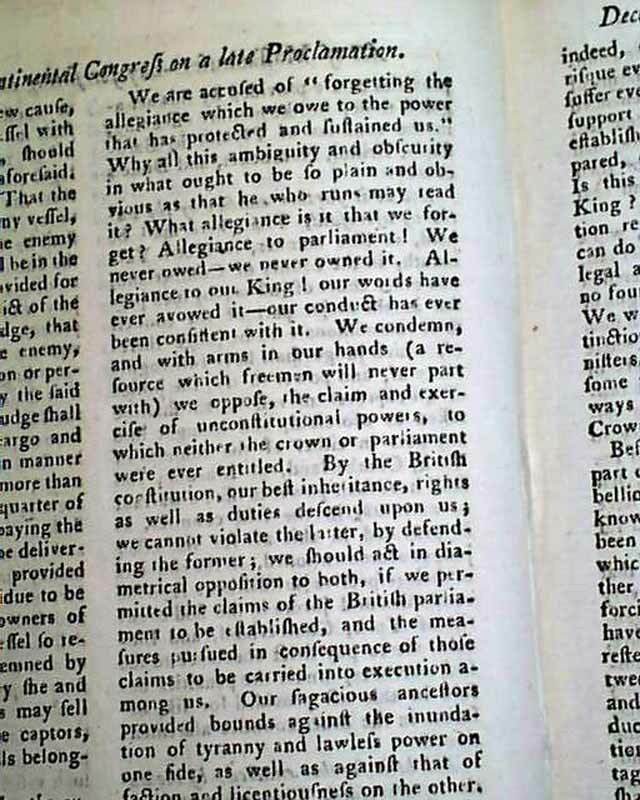 Allegiance to our King! 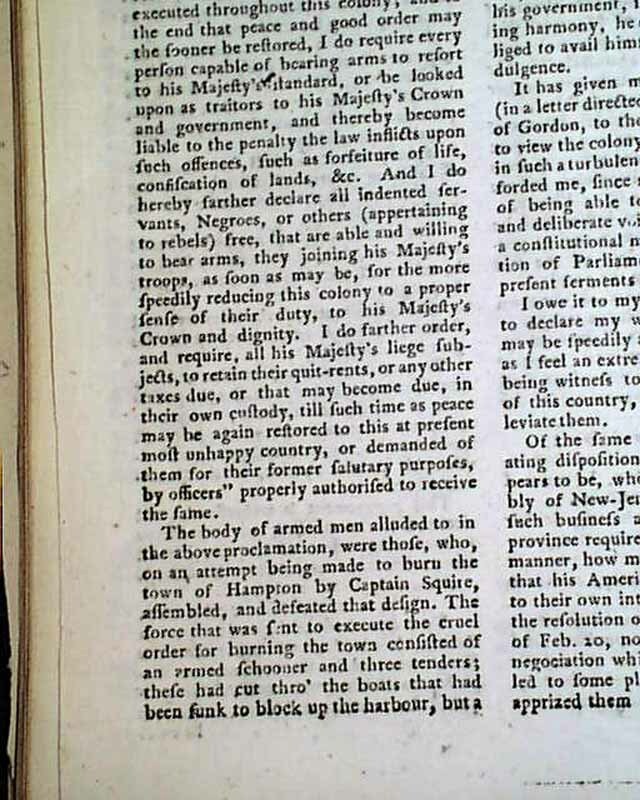 our words have ever avowed it...We condemn & with arms in our hands...we oppose the claim & exercise of unconstitutional powers to which neither the crown or parliament were ever entitled..." with much more (see photos for portions). 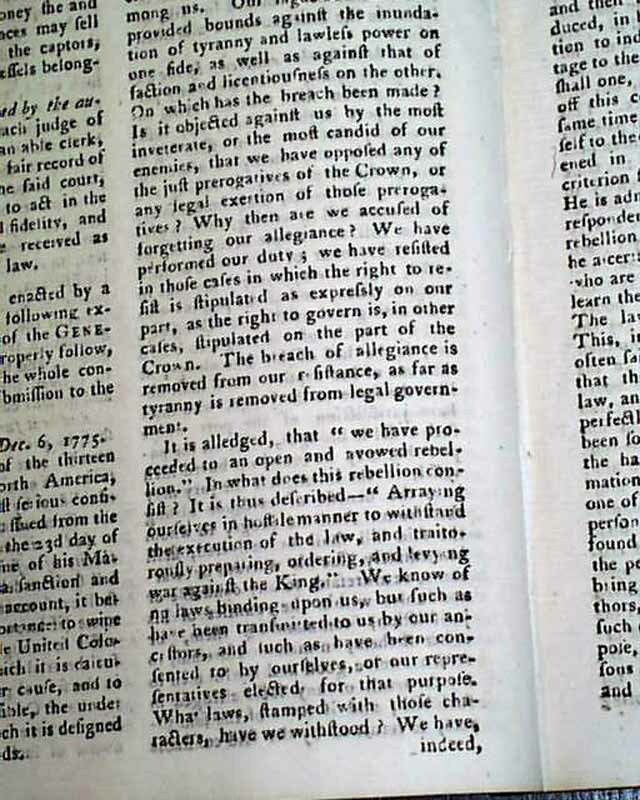 Included also is a nice article on the: "Journal of the Resolution's Voyage on Discovery to the Southern Hemisphere" which was Captain James Cook's voyage, the text taking over 4 pgs. 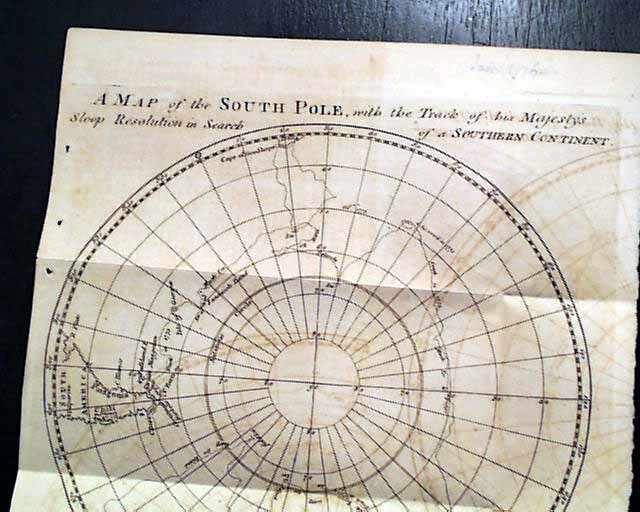 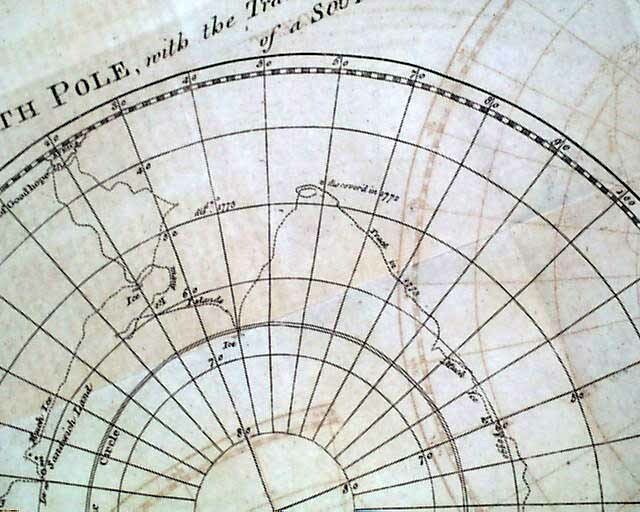 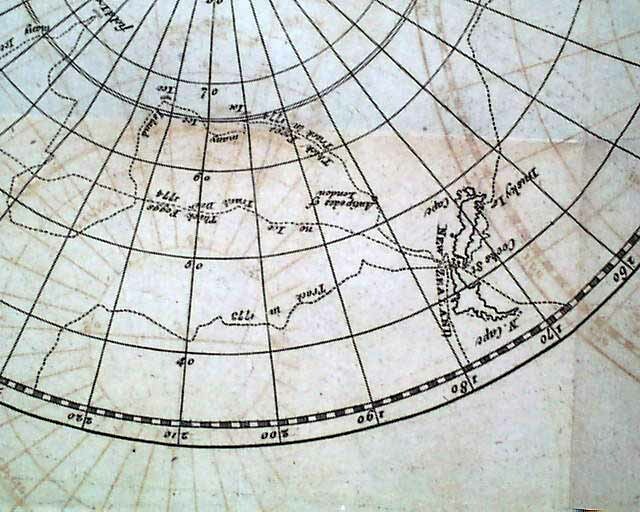 It is accompanied by a very nice foldout map titled: "A Map of the South Pole, with the Track of His Majesty's Sloop Resolution in Search of the Southern Continent" (see photos). 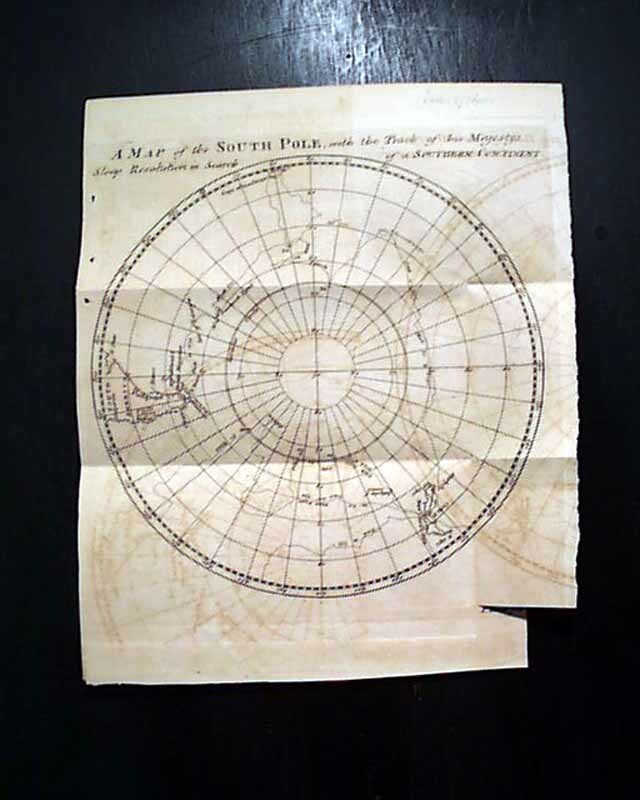 This map measures 9 by 11 inches, a it of ink offsetting, lightly toned, very nice condition. 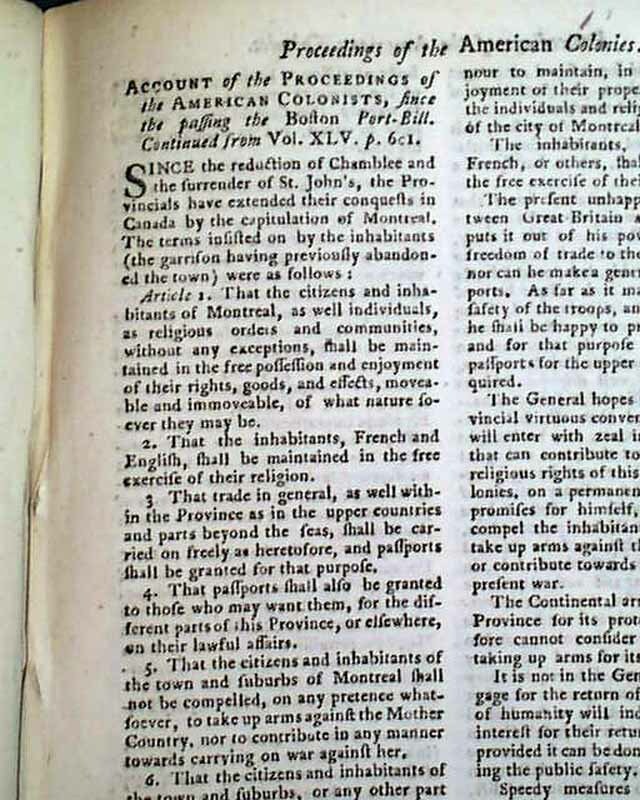 Over 4 pages are taken up with an: "Account of the Proceedings of the American Colonists since the Passing the Boston Port Bill" which is continued from an earlier issue. 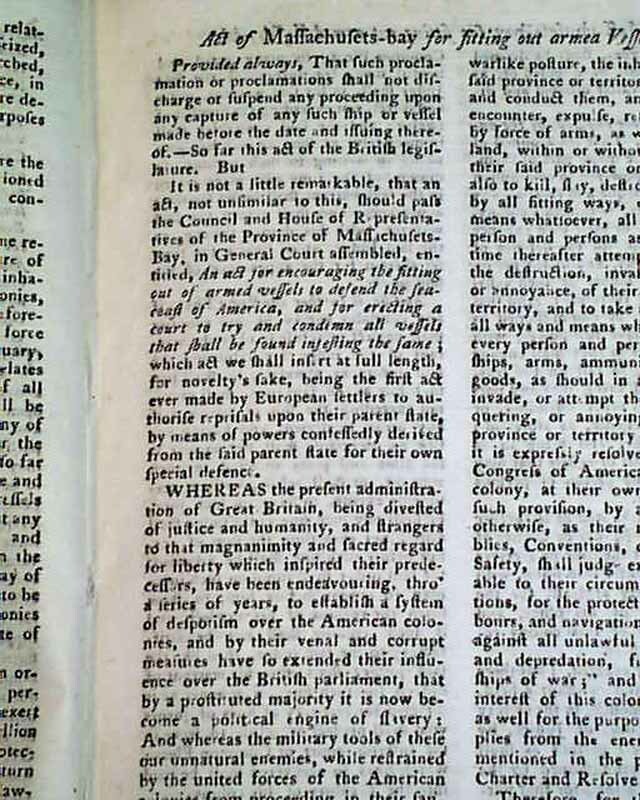 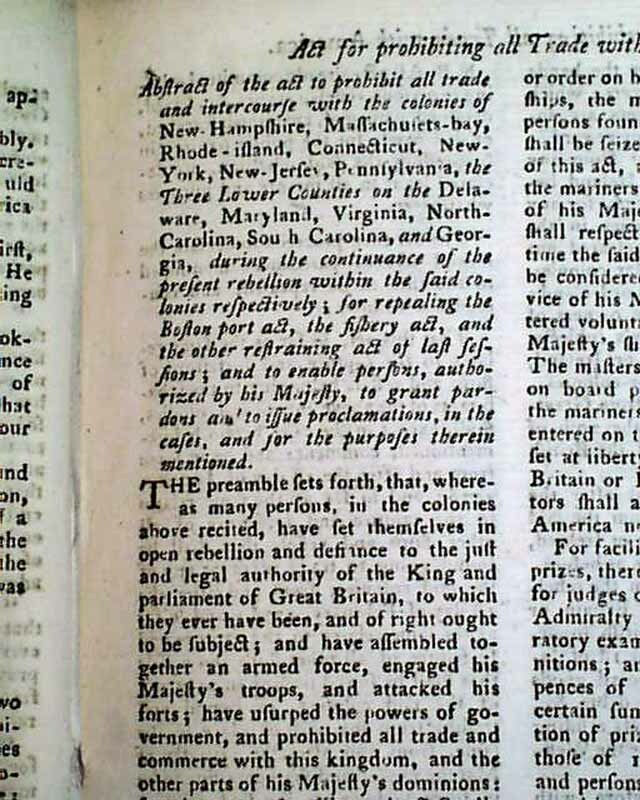 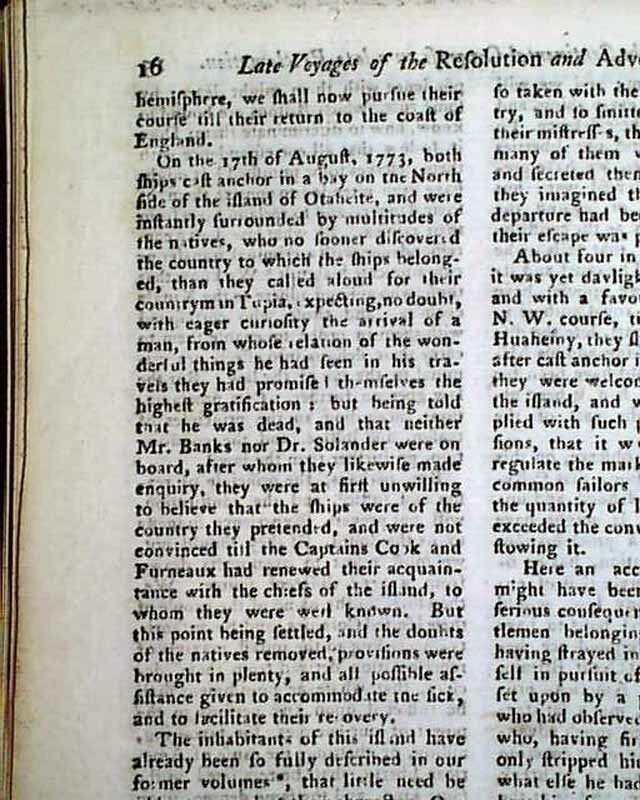 This report has much on the Revolutionary War and includes the very significant proclamation from Lord Dunmore of Virginia in which he allowed Negroes to serve in his army. 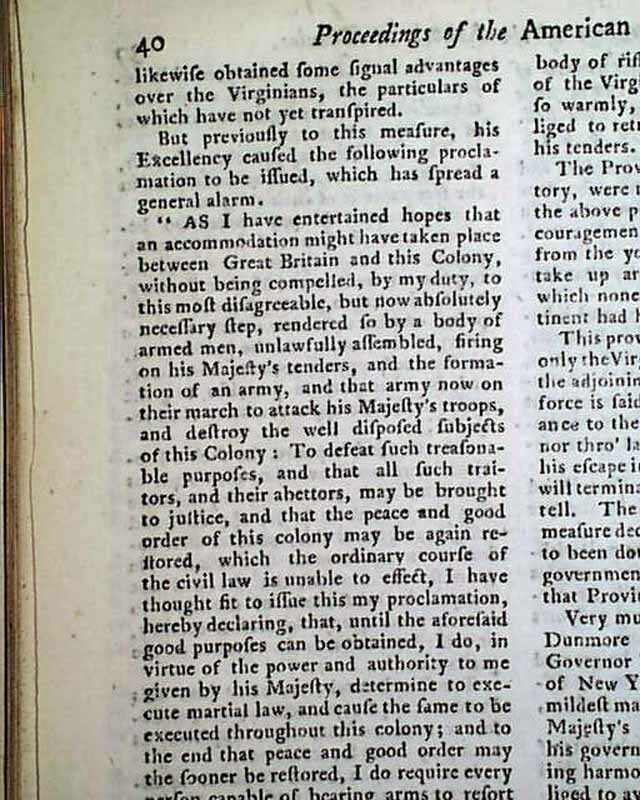 His full proclamation can be seen in the photos below, with the significant portion including: "...And I do hereby farther declare all indented servants, Negroes, or others (appertaining to rebels) free, that are able & willing to bear arms, they joining his Majesty's troops as soon as may be, for the more speedily reducing this colony to a proper sense of their duty..." with more. 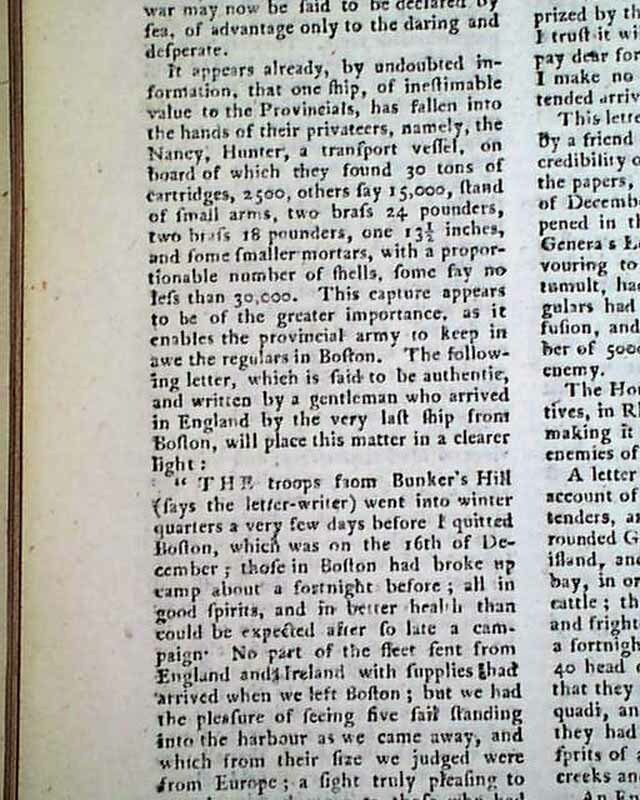 Additionally, this report includes: "...The troops from Bunker's Hill went into winter quarters a very few days before I quitted Boston...A letter from Rhode Island gives an account of a plundering party of cruizers..." and much more (photos show only portions). 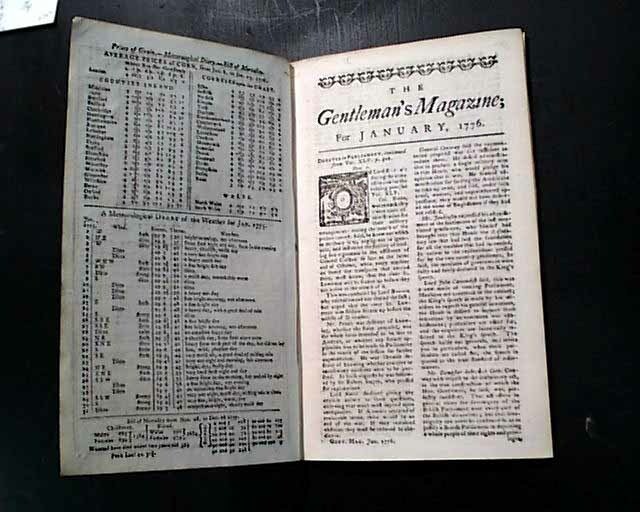 Complete in 48 pages, full title/contents page, 5 by 8 1/2 inches, very nice condition.